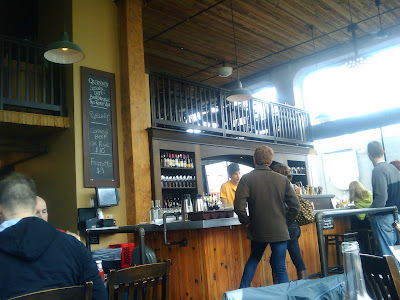 The Mr and I went on a lunch date to Quinn's on Pike Street. Don had read a few months back that they have phenomenal fish and chips so he had to check it out. 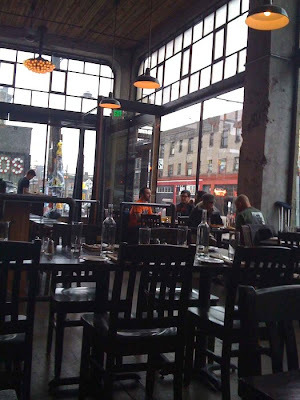 We nabbed a seat by the window and ordered up. I was planning on having one of their awesome looking salads until the server explained how popular and how large the fish and chips plate was. 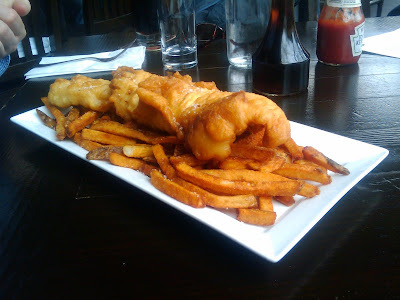 Turns out, they are the best fish and chips I have had since living on the east coast. The batter was absolutely perfect in both taste and texture and the fish was as so fresh and flaky. When I told the server this she laughed and then went on to explain that the owners and almost everyone working in the restaurant came over from Boston to open the restaurant. They sure did bring along their skills. It is so rare that I eat fish... looks like I found great new place to hit the spot when I get that craving. 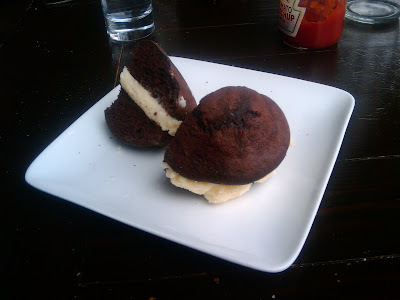 We ended with some homemade Whoopie Pie; another east coast staple. It too was completely delish and quite adorable.